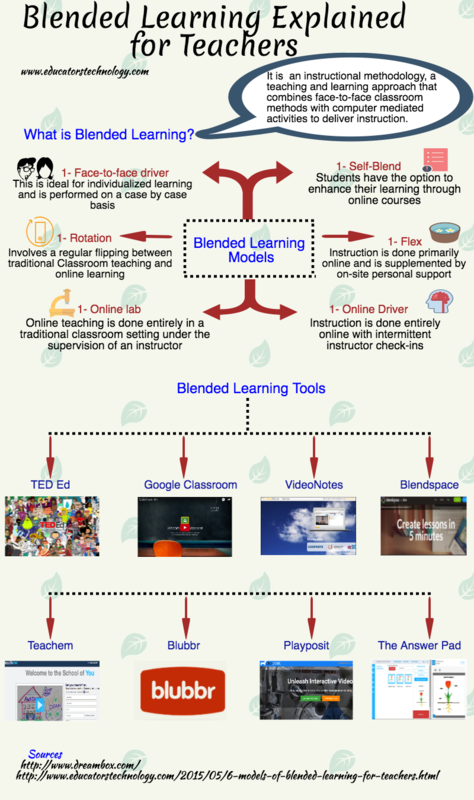 Here is a short visual we created for teachers explaining the core notions behind the concept of Blended Learning. We have also included a collection of what we believe are some essential web tools for classrooms that adopt a blended learning model of instruction. You can share, print and use the visual the way you want as long as you credit us as the source. It is an instructional methodology, a teaching and learning approach that combines face-to-face classroom methods with computer mediated activities to deliver instruction. Instruction is done entirely online with intermittent instructor check-ins.